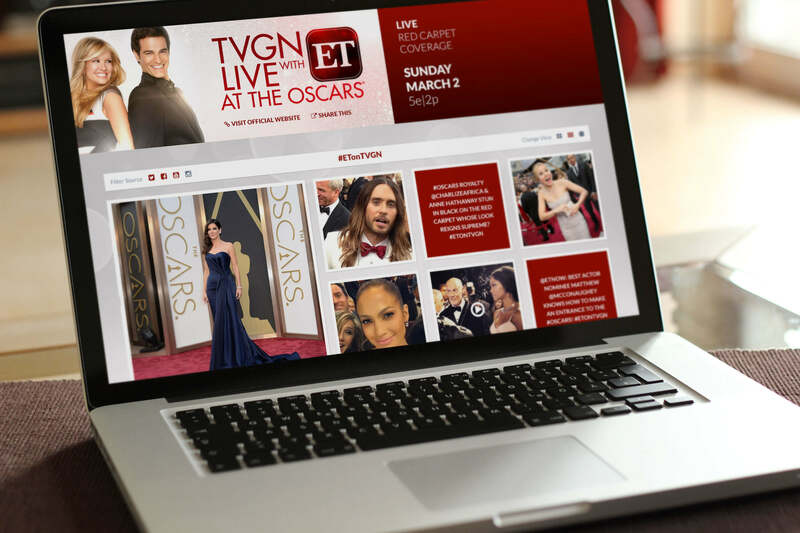 For TV Guide’s coverage of the 2014 Academy Awards Red Carpet Show, EKR created a fully moderated social media tool that brought together hashtagged posts, tweets, photos, and videos. 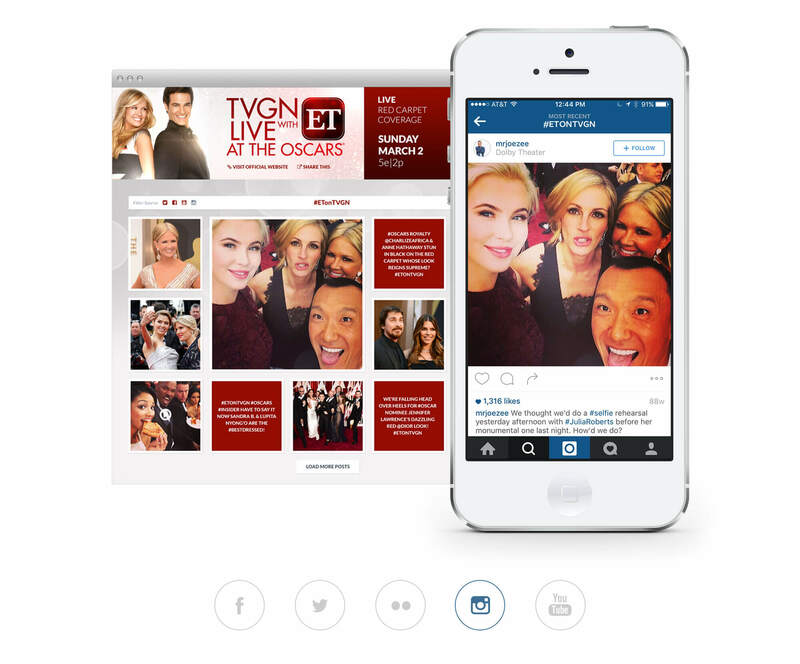 Watching the Oscar Red Carpet Show was especially thrilling as Entertainment Tonight’s Nancy O’dell, Joe Zee, Brook Anderson and Ireland Baldwin snapped selfies with celebrities and hashtagged the photos on social media to feed them into TV Guide’s website gallery. 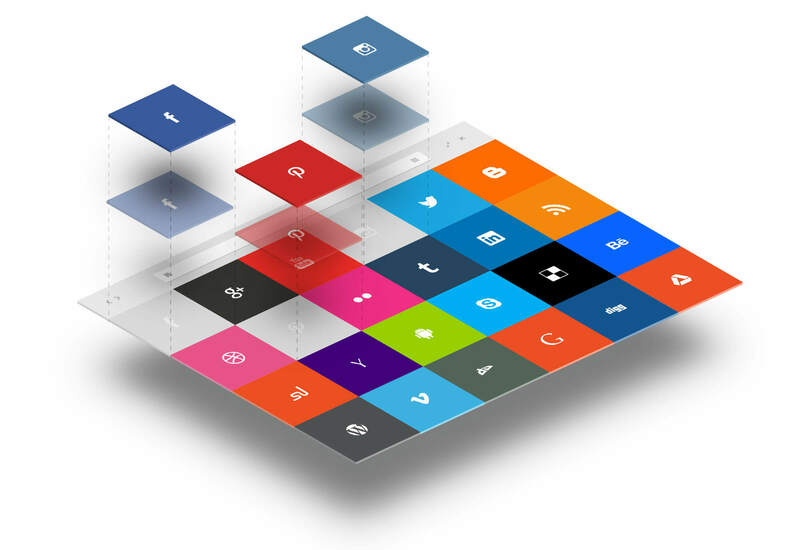 The social media aggregation tool created by the EKR team allowed TV Guide and ET to pull hashtag content from Facebook, Twitter, Instagram and YouTube. The hashtag #ETonTVGN was used for the event. Images and Tweets using that hashtag could be aggregated to TV Guide’s corresponding event website. 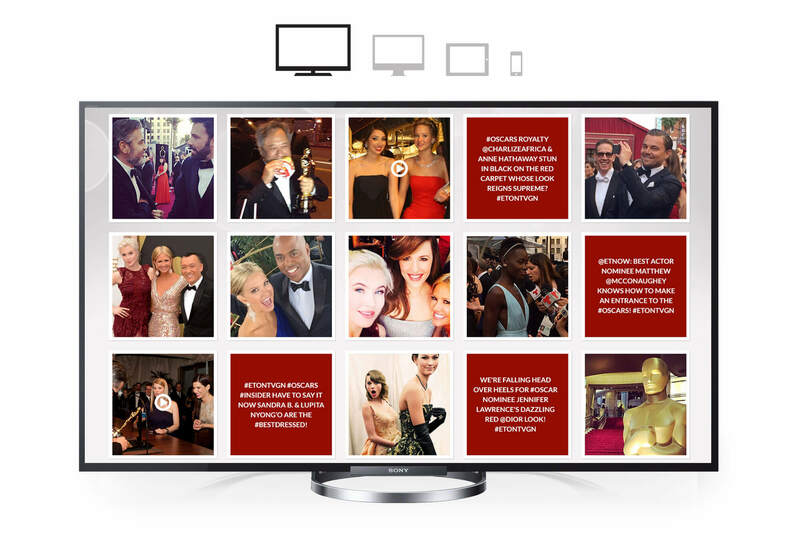 A powerful admin tool was created to allow TV Guide to control the content. Through a credential-based login, authorized admins could choose to pre-moderate (where nothing goes live until it is approved) or post-moderate (where everything goes live as content is created, but can be removed from the live destination with the simple click of a button). 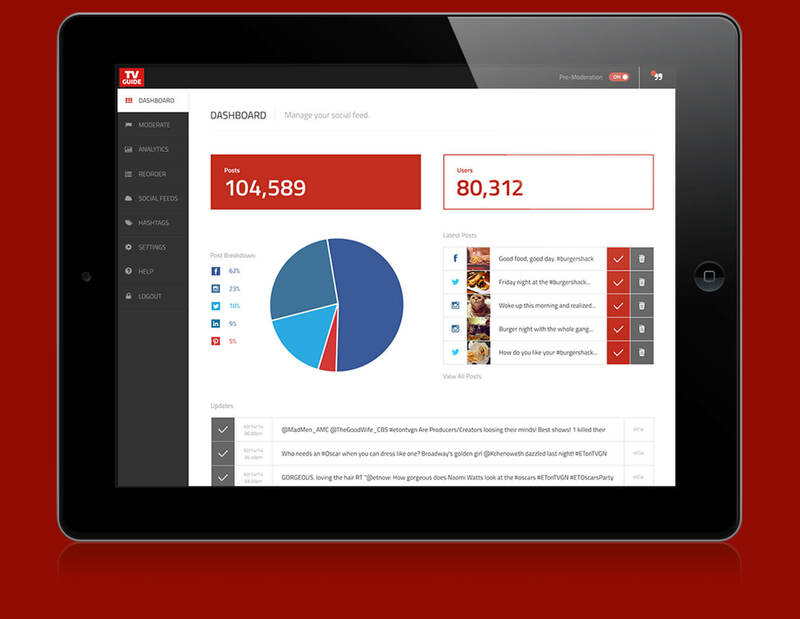 The admin tool also displayed content analytics. Admin users could see how many posts are being aggregated and how many people had posted content. Additionally, the activity displayed on the admin tool could be sorted by social media outlet. The gallery display was fully responsive, thus allowing TV Guide to utilize the site content in a variety of digital displays: website, mobile phone, tablet, television screen or Jumbotron.